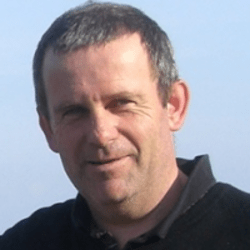 Paul has been facilitating Holotropic Breathwork since the early 1990's and has run workshops all over the world in addition to here in Ireland. Paul is a qualified and accreditated Psychotherapist / Counsellor in addition to being a Grof certified facilitator and also is qualified in sound engineering and music production. Paul strongly believes in the healing and transformational power of Holotropic Breathwork whether it manifests as resolution of old complexes / traumas or behavioural patterns or simply boosts and enhances one's personal creativity and energy.